While I love flipping through shelter mags and spending hours browsing Pinterest, my favorite sources of inspiration are oftentimes the more random ones. In fact, I realized the other day that much of my "inspiration" folder is filled with images from all kinds of sources. 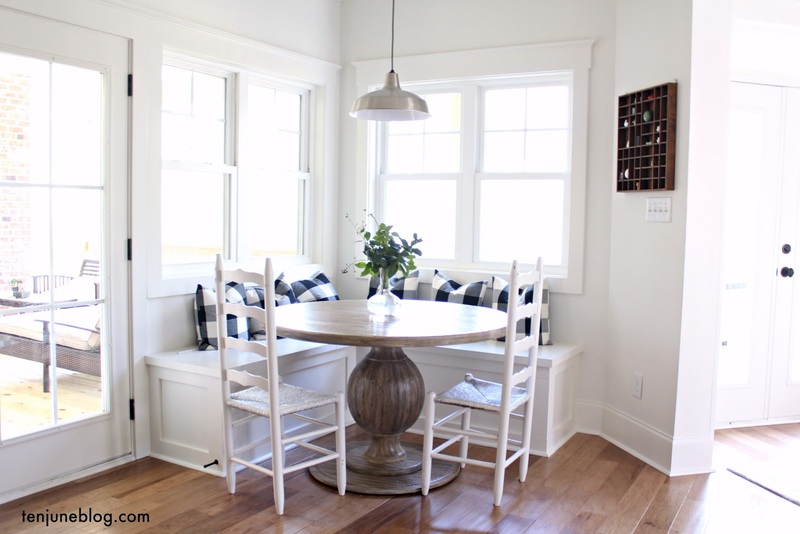 I think it must be the DIYers brain- everything you see can become a project for the home! One of my favorite non-traditional sources of inspiration is Anthropologie. Of course, I love the brand and its clothing, shoes, jewelry and home line. 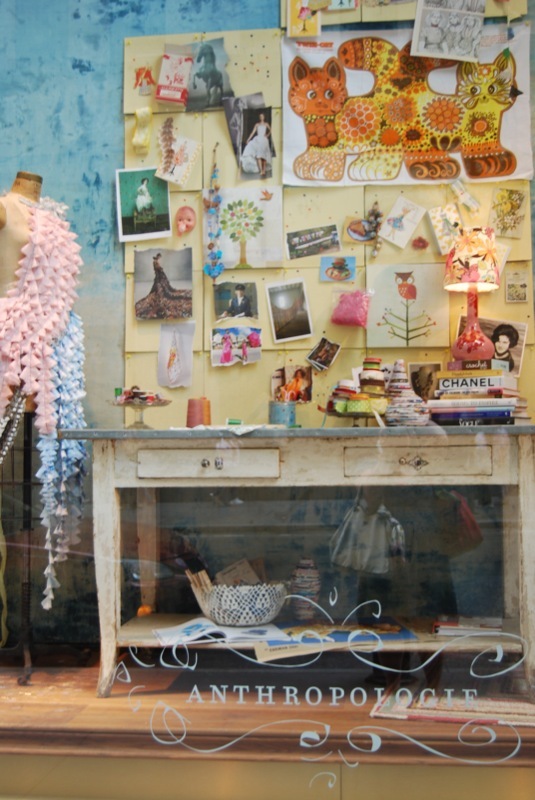 But have you noticed that these stores have amazing window and in-store displays? They're certainly inspirational and get my little DIY brain wheels turning! I love the height and texture in this display. Hello re-purposed items! Is that an old radiator? Fabulous. Paper cups. That's all I've got to say. My absolute fav-or-ite. Hands down. The garlands are just gorgeous! I'll take one of these vignettes in my home! Or even piled high! They look so chic. A Christmas wonderland! But you could easily recreate a year-round version of this with any kind of trinket piled high. Or on a smaller scale, you could recreate with a knick knack shelf like mine. Love the organization, love the colors. What random places do you pull inspiration from? Couldn't agree more about Anthro and their way of styling. What I also really like is that each store seems to have a different styling technique too - at least by us we have 3 different Anthro stores and each is a completely different look. The one in Center City Philadelphia is in a huge old building. And then the one that is closest to our house is in a one floor building but has the coolest entrance that reminds you of a garden. They certainly know how to bring the people in. I love going to farmer's markets and seeing all the colors there. I love Anthro! And, agree with Holly. Even ours here in Atlanta are always just a little different. 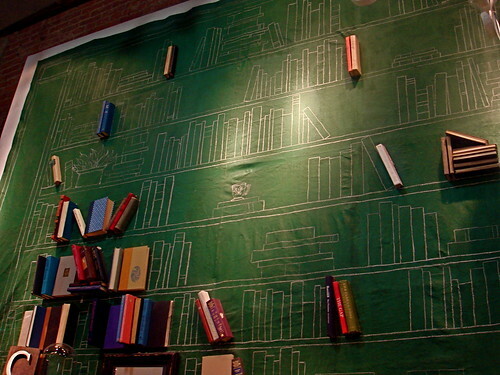 Love, love, love their use of books. Something easy to find at GW and thrift stores. whoever does their windows and store displays, are genius!!! talking about thinking otside the box~! I agree! They are brilliant!! A great source of inspiration for sure. Love this post. Yes- Anthro is one of the best! I also love Arhaus displays as well. I've often wondered what creative genius designs all of these amazing displays! i LOVE the garlands! all i need with them is a whole room to serve as my "closet'...oh and some macarons wouldn't hurt either.. Agreed! I just visited Anthro and blogged about this very same topic last week. Yeah, those displays are genious! I agree! From their fashion line, to jewelry to the home collection--I pretty much love it all. And i agree with Lili because whoever designs their windows and displays are amazing! The books always fascinate me! Sheer genius. Fun to be inspired by something a little outside the box, isn't it? Thanks for sharing! Anthro is seriously one of the most creative brands. Great post! Hey Lady! Thanks for the message! :) The rug is from esalerugs.com. You HAVE to check it out! The one with the garland is beautiful! Our store had one like the display with the paper cups, but it was straws. It was crazy cool. I am so ADD in Anthro -- I can never figure out where to focus my thoughts -- the clothes, the home section or the gorgeous store decorations. 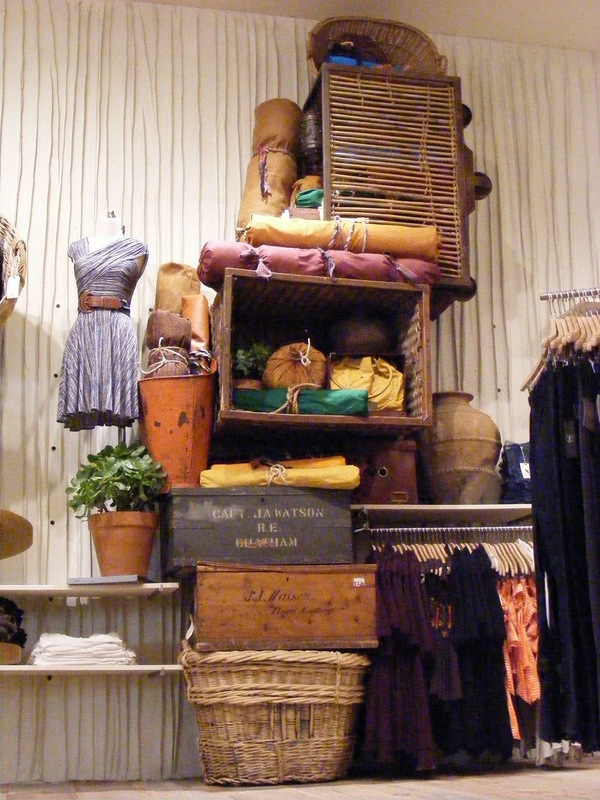 I was just shopping at Anthro today and spent as much time drooling over the displays as the merchandise. Anthro never let's me down! Whoever does thier design is seriously talented out of thier flipping mind!! I looovvveee it!!!! !